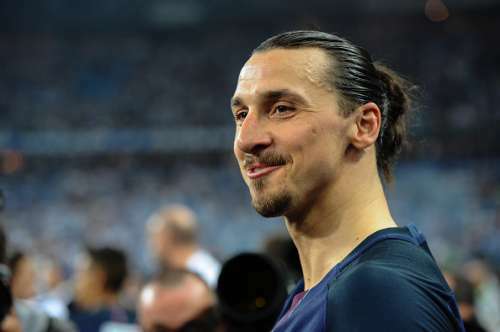 Zlatan Ibrahimovic has not been shy of being involved in a controversy. The mercurial forward, who is currently without a club after not signing a new deal with Paris Saint-Germain, is widely expected to sign a contract with Manchester United. New boss Jose Mourinho is a keen admirer of the Swede, a feeling that is reciprocated by Ibrahimovic for Mourinho as well. The former Barcelona striker has been excellent for Paris Saint-Germain as he scored 156 goals in 180 games for them in just four seasons. He has been incredibly prolific in front of goal. The Swedish international even managed to score 51 goals in just 50 games in his final season with the Paris club, showing he’s still got in him. Over the years, Ibrahimovic has been involved in several controversies ranging from violence on and off the pitch to passing snide comments. In 2004, Zlatan Ibrahimovic and Rafael van der Vaart were teammates at the Dutch club Ajax, where the latter was captain. The two faced each other in a friendly when Netherlands played Sweden. Things were not exactly great between them and things went south after Ibrahimovic tackled the Dutchman so hard that he tore his ankle ligament. He had to be stretchered off the pitch as Sweden went on to score from the resulting move. But Van der Vaart was convinced that the tackle was a deliberate one and he took to the media to let the world know, to which Zlatan did not respond very nicely. Zlatan even tried to phone him and tell him that he was sorry for the tackle, but the Dutchman was adamant in his belief. The pair were called by then Ajax coach Ronald Koeman, who made them sit together.